Auditing Active Directory for change control, regulatory compliance and troubleshooting purposes requires regular review of AD audit reports. However, native Windows auditing capabilities have multiple shortcomings (lack of reporting and poor usability, to name just two) that make generating a single AD report a real headache for IT administrators. To address security and compliance requirements faster and with less effort, organizations need simpler and more efficient auditing solutions that enable them to generate an AD report on key changes and logon events at any time. 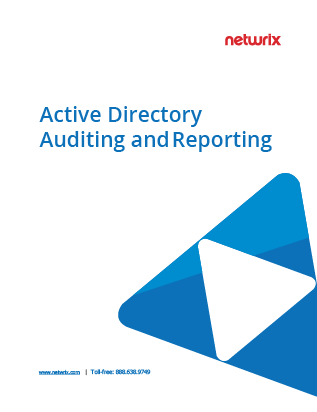 In this white paper, renowned industry expert Don Jones discusses different ways to go about auditing Active Directory and advocates for a method that enables you to easily improve native AD auditing without dramatically changing your IT infrastructure.